Together in a night of music, Bro. 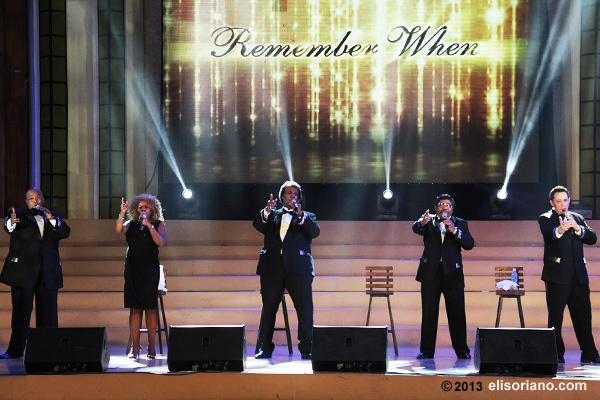 Eli Soriano and The World Famous Platters brought back the glory of ‘50’s rock-and-roll in a concert entitled “Remember When,” held at the ADD Convention Center last March 31 this year. Both preacher and the artists had one common goal: to sing and give back to the poor. The proceeds of the concert will help sustain the social services and charitable works that Bro. Eli is maintaining through the ADD Foundation International, the charity arm of the Members Church of God International (MCGI). Such services include medical support, scholarships, feeding programs, free transport, to name a few. The group sang their popular hits “Only You,” “Twilight Time,” “Remember When,” “The Great Pretender” in their repertoire. Then they did a duet with Bro. Eli Soriano in “Smoke Gets In Your Eyes,” a classic favorite among Platters fans. Bro. Eli and the World Famous Platters sing their hearts out in the song “Smoke Gets In Your Eyes.” The concert last March 31 aimed at supporting the charity projects Bro. Eli started many years ago. During their duet, Bro. 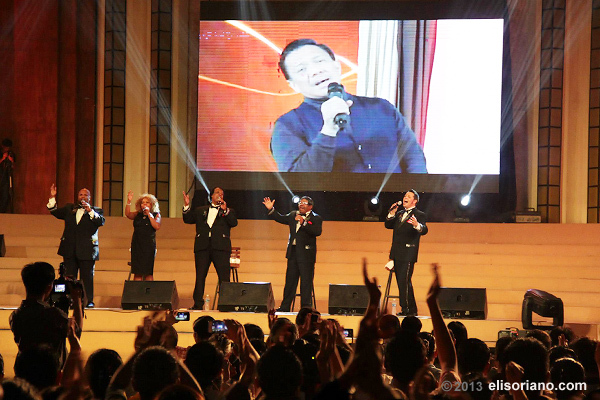 Eli sung straight from South America while The Platters were at the convention center in Apalit, Pampanga. Given the at least 13 hours time gap between the two performers, the use of the Internet facilities was instrumental in rendering the performance to appear seamless. When asked what they felt about the concert’s set-up and their duet with Bro. Eli, the Platters admitted they were amazed at the technology which made possible their singing with him. The World Famous Platters is the third international group to have graced a charity concert organized by the MCGI since the Cascades and the Air Supply which performed April and November last year.